“Jewels of the Night,” was an evening of enchantment, where James Beard Award–winning Chef Michael Solomonov created a delectable fusion of Middle Eastern, North African, Mediterranean, and Eastern European flavors, based on his signature Philadelphia restaurant, Zahav. WPSU would like to thank our sponsors, auction item donors, guests, staff, and volunteers, and especially Chef Michael Solomonov for a wonderful evening, and a successful event! 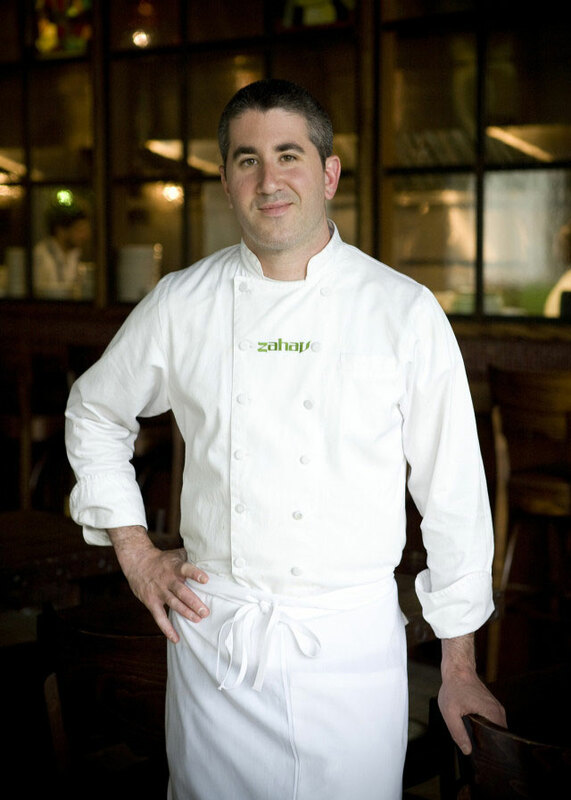 Ever since he opened Zahav in 2008, chef Michael Solomonov has been turning heads with his original interpretations of modern Israeli cuisine, attracting notice from the New York Times, Bon Appétit (“an utter and total revelation”), and Eater (“Zahav defines Israeli cooking in America”). Zahav showcases the melting-pot cooking of Israel, especially the influences of the Middle East, North Africa, the Mediterranean, and Eastern Europe. Solomonov’s food includes little dishes called mezze, such as the restaurant’s insanely popular fried cauliflower; a hummus so ethereal that it put Zahav on the culinary map; and a pink lentil soup with lamb meatballs that one critic called “Jerusalem in a bowl.” It also includes a majestic dome of Persian wedding rice and a whole roasted lamb shoulder with pomegranate and chickpeas that’s a celebration in itself. All of Solomonov’s dishes are brilliantly adapted to local and seasonal ingredients. Before opening Zahav, Chef Solomonov was the executive chef at West Philadelphia’s Marigold Kitchen, which he and restaurateur Steven Cook co-owned until 2009. There, he was named “Rising Star Chef, 2007” by Restaurant Hospitality magazine, as well as “Best Chef, 2006” by Philadelphia magazine. Prior to joining Marigold, Solomonov worked under such top chefs as Marc Vetri at Vetri and Terence Feury at Striped Bass. Solomonov is a graduate of the Florida Culinary Institute in West Palm Beach. Born in Israel, he grew up in Pittsburgh, and now calls Philadelphia home with his wife and two children. His first cookbook, Zahav: A World of Israeli Cooking, co-authored with Steven Cook, will be available for purchase and personalization by the chef at the Connoisseur’s Dinner. WPSU’s 25th Annual Connoisseur’s Dinner and Auction will take place Saturday, February 4, 2017 at The Nittany Lion Inn.